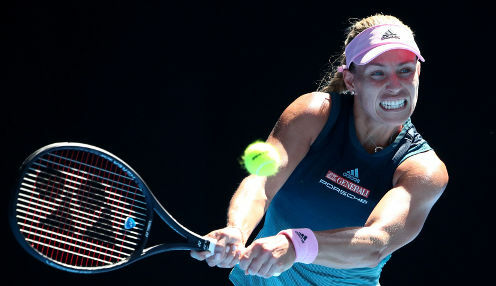 Angelique Kerber is ready to produce her best tennis when she faces Bianca Andreescu, who has reached the BNP Paribas Open final as a wildcard. Kerber booked her place in the Indian Wells final with a 6-4 6-2 victory over an in-form Belinda Bencic, who had previously knocked out both Naomi Osaka and Karolina Pliskova. I know that I have to play my best tennis in the final. Meanwhile, Andreescu continued her dream run with a 6-3 2-6 6-4 victory over Elina Svitolina, with the Canadian teenager having already seen off the likes of Garbine Muguruza, Dominika Cibulkova and Wang Qiang on her way to the last four. And Kerber is taking nothing for granted against the surprise package of the tournament. She told the official WTA Tour website: "I'm really looking forward to a really tough battle. She's here as a wildcard and she beat a lot of good players. "She has nothing to lose, she enjoys her tennis and she's a great player. I know that I have to play my best tennis in the final again." Not surprisingly, Kerber and Andreescu have never previously faced each other in a competitive match. The German is available at 8/15 to win the final in Indian Wells and is 5/4 to do so in two straight sets, while Andreescu can be backed at 9/2 to prevail in a three-setter.